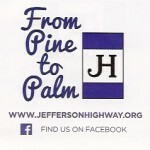 ← The Jefferson Highway: From Palms to Pines? Or Palms to Prairies? Josiah Laubenstein and Darrell Johnston, started their road trip to New Orleans at Winnipeg on May 7, 2016. Originally they had planned to drive a Model T Ford (photo below), but found that it would be impractical on today’s highways. Instead, they are driving a classic red and white 1954 Dodge Royal. By May 10 Josiah and Darrell had followed the “Pine to Palm” route to Itasca State Park at the Source of the Mississippi River. Connie Cox, Itasca Park’s lead naturalist, and I, along with Nicole Vik, of the Park Rapids Enterprise, met the travelers at the Brower Visitor Center in the park. There, Connie presented a compact history of the Jefferson Highway’s route inside Itasca Park and its role in early tourism. After stopping to see parts of the original 1916 roadbed, we ended the happy excursion in the rain on the slippery rocks at the Source of the Mississippi River. The trip will take Josiah and Darrell to a new town each day, where they will have proclamations signed by mayors encouraging residents to become aware of the highway. One example would be to promote a “Drive the Jefferson Highway Day,” where residents could follow on, or near, the original Jefferson Highway roadbed between small towns. On July 19, I will be presenting a program on the Jefferson Highway at the Brower Visitor Center as part of the 125 year birthday celebration of Itasca State Park. Maybe you might drive to the Center over the original Jefferson route! Driving from the south, it runs underneath most of the present roadway, from just inside the South Entrance to near the Douglas Lodge entrance below the Brower Visitor Center. From the north, much of the Jefferson roadway inside the park lies under the present route, after being rerouted to Bagley. Follow Josiah and Darrell and their cameras online as they travel the old Jefferson Highway to New Orleans at www.highwaywalkers.com. You can also read more about their Park Rapids visit in Nicole Vik’s newspaper article (click here), and learn more about the highway from the Jefferson Highway Association. 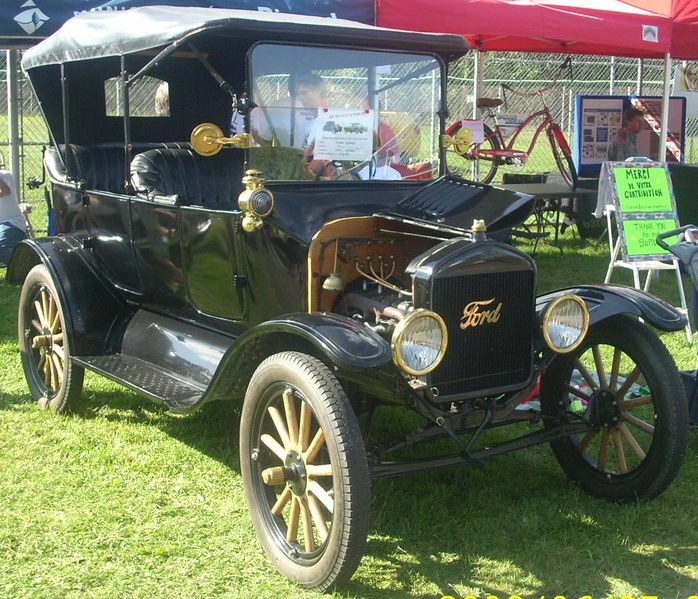 1916 Model T Ford, similar to one that might have been new when the Jefferson Highway opened. This entry was posted in All blog entries, Jefferson Highway. Bookmark the permalink.